I finally finished the tapestry of Iggy – about five years after I bought it! Hugely pleased with it, and its lovely frame done by Images Framing of Anlaby. It’s now hung opposite the living room door, so I see it whenever I walk into the room. 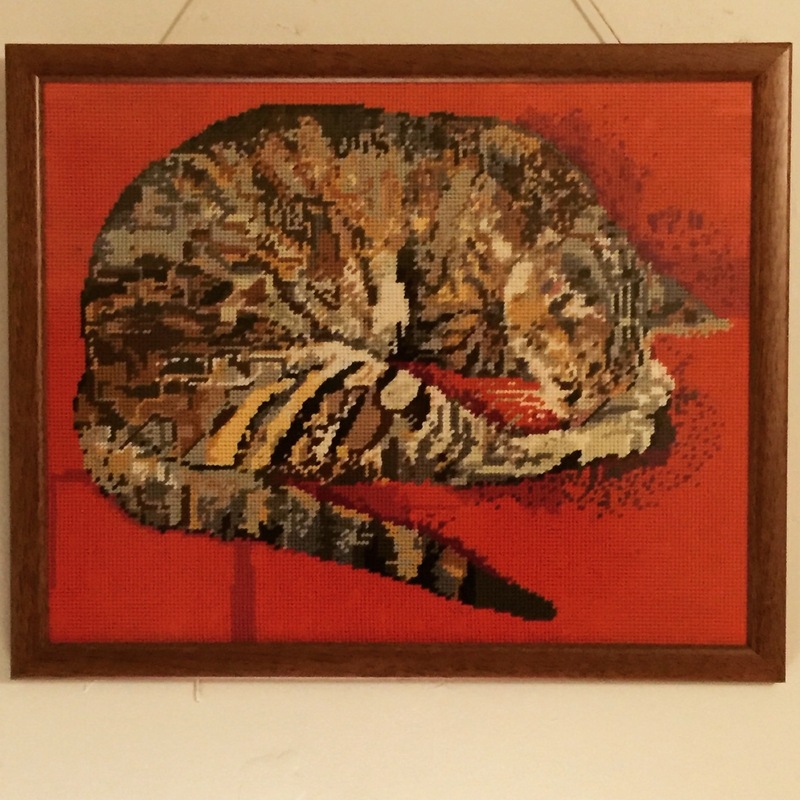 That’s beautiful,You said you bought this,I’m curious, but did you use a photo of your own cat on the tapestry or is it a lookie-likee of iggy?Whichever it is you did great!